John’s Auto Care Center in Meridian, ID, is the premier choice for Chevrolet repairs and services in the area. 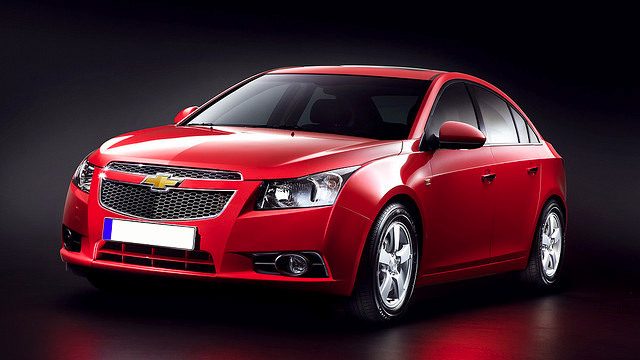 We are considered one of the best Chevrolet dealership alternatives because of our experienced staff and quality service. Our ASE certified technicians are highly trained and experienced working with all makes and models of Chevrolet. Whether your vehicle is due for a maintenance item or needs a repair, our experts are here to help. If you suddenly notice that your vehicle’s check engine light has turned on or begin experiencing a strange symptom while driving, don’t hesitate to bring your Chevrolet into our Meridian auto repair shop. Our shop has the latest, state-of-the-art scanning tools to figure out the exact cause of the issue. We will work quickly to repair your vehicle and get you back on the road safely. In order to keep your Chevrolet running in top condition, it is vital to stay on top of your vehicle’s factory recommended services. Our shop offers a flexible maintenance plan that works with you and your budget. We determine what maintenance items your vehicle needs based on factory recommendations and we remind you of upcoming services when they are due. Our goal is to help you maintain a healthy vehicle throughout the years. We are passionate about excellent auto repair, and we are also passionate about serving the Boise Metro and Treasure Valley. If your Chevy pickup, car, or SUV is in need of repair or service, give us a call today!